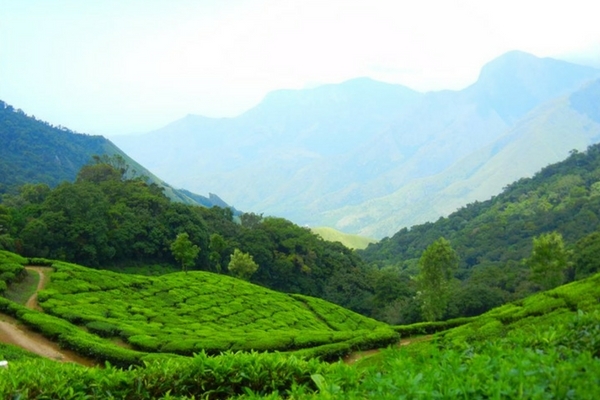 Wayanad features right on top of the list when it comes to Kerala hill stations. Filled with lovely, scenic roads, jungles with mighty elephants and deer wandering in peace, and the lush greenery of Western Ghats, there are amazing places to visit in Wayanad. While a part of Kerala, Wayanad’s ecology is unlike many other places. This is a very pristine destination that still retains is natural charm. The popular Wayanad Tourist Places offer so many unique cultural and natural surprise. Some of the best resorts in Wayanad offer a multitude of activities for children, tourist groups and couples. As you approach Wayanad, the mountain roads surrounded by lush green rainforests will welcome you. This is just a precursor to a memorable vacation that’s in store and at a beautiful hill station in God’s own country; there are countless things to do in Wayanad. Wayanad is not to be confused with just another amicable Hill station in Kerala. All the Wayanad Tourist places, whether they are big or small, popular or offbeat, have an immense amount of natural beauty hiding. You can take a beautiful stay home or book one of the best resorts in Wayanad, your vacation will never feel incomplete. Make sure you don’t miss these best places to visit in Wayanad when on a holiday in Kerala. Kalpetta is the headquarters of Wayanad district and holds a special spot when it comes to Wayanad tourist places list. Surrounded by mountains and dense coffee and tea plantations, it is one of the must-see places to visit in Wayanad. Head towards the beautiful Kanthanpara, Meenmutty and Soochippara Waterfalls for a rejuvenating experience. 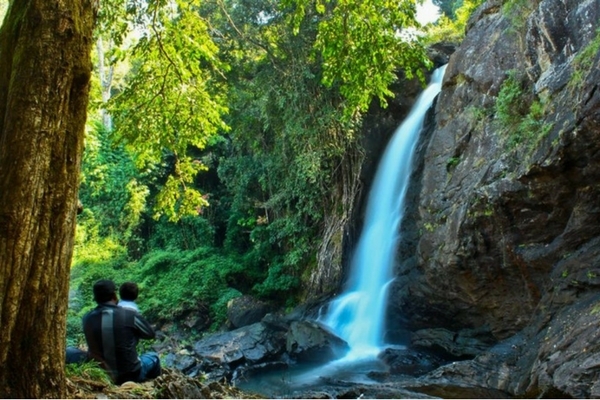 Two of these waterfalls make Kalpetta one of the best places to visit in Wayanad. Many of the best resorts in Wayanad are located around Kalpetta. You can also book a tree house and enjoy living in the jungle. You can also explore the best of nature on a trek to Vaduvanchal, as it boasts of some amazing sites including the Phantom Rock, Cheenigeri Mala, Neelima View Point and Chethalayam Falls. Kalpetta also offers cycling trips on the well-made trails. This is a very eco-friendly way of exploring the popular Wayanad tourist places, without polluting the environment. Also, some of the best places in Wayanad are located away from the access of roads, because of this cycle make an amazing ride that takes you to these areas. As one of the popular Wayanad tourist places, you can also purchase souvenirs from the local market. Kalpetta market offers coffee, tea, pepper, honey, artefacts, bamboo products, ivory handicraft and coconut shell handicraft. In the list of scenic places to visit in Wayanad, Meenagandi is very unique and special. Known for its historical and cultural heritage and several plantations, Meenangadi should be on your places to visit in Wayanad. 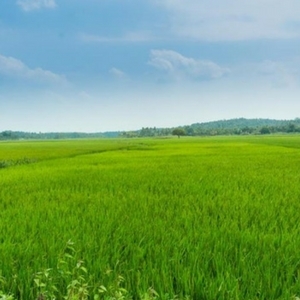 As of the pristine places near Wayanad, Meenagadi is known for its ecological conservation movements. You should know that Meenangadi is also on its way towards becoming India’s first carbon-neutral town! Because of such unique reason this place has become one of the best Wayanad tourist places which offer a lesson on sustainable and eco-friendly tourism practices. St. Mary’s Syrian Orthodox Church, built in 1958, is a popular tourist place in Kerala. The Church’s style of construction is so unique that architecture lovers need to make sure that they don’t miss one of the most unique places to visit in Wayanad. When it comes to holy places for Hindu religion, Manikavu is one of the highly revered places to visit in Wayanad. It believed that the Shivalinga at the Manikavu temple devoted to Lord Shiva is self-manifested and water pours continuously on it from a stream and is a must visit. Take a relaxing stroll with a view of lush-green tea, coffee, cardamom, pepper and rubber plantations. The nature-friendly practices at Meenagadi has made it popular in the Wayanad tourist places list. Distance from the nearest airport: 99.3 km from Calicut International Airport. Most of the important places to visit in Wayanad can be accessed from Calicut. The tiny village of Pozhuthana is also an interesting tourist place in Kerala as it is known for its hilly terrain interspersed by flat valleys and tea plantations. The amount if scenic charms hidden here makes this sleepy little town counted in the list of the most beautiful places to visit in Wayanad. Apart from the lovely, pristine beauty, Pozhuthana is also popular for bamboo rafting, which is a major tourist attraction here. Take a soothing dip at the Pozhuthana River, which is more like a slow flowing river more like a lake than a river. This river gives an impression of backwaters, because of which many tourists and photographers like to spend their time here. With the amount of scenic beauty hidden in Pozhuthana River, it is obviously one of the best Wayanad scenic spots that is not to be missed. Try your luck at river rafting here, as you glide through the river while being treated to a scenic view of the green hills and valleys. Apart from river rafting, you can also take a hike in Sugandagiri forest. This forest is not among the popular Wayanad tourist places list but its beauty is equally charming and pristine. If water doesn’t interest you, you can also bike along the scenic roads through tea estates and jungles! The lush greenery and endless trails with natural paths have made Pozhuthana counted among the most gorgeous places to visit in Wayanad. The roads here are a paradise for driving enthusiasts, especially the ones who want to the mainstream Wayanad attractions and do something offbeat. Located on the state highway between Kozhikode and Ooty, Meppadi is one of the beautiful hill stations in Kerala, extremely popular for the Chembra Peak and heart-shaped lake. As a weekend getaway, Meppadi has all the facilities and reasons that make it counted among the important places to visit in Wayanad. Every lovelorn couple considers this peak as a mandatory part of theirWayanad tourist places list. 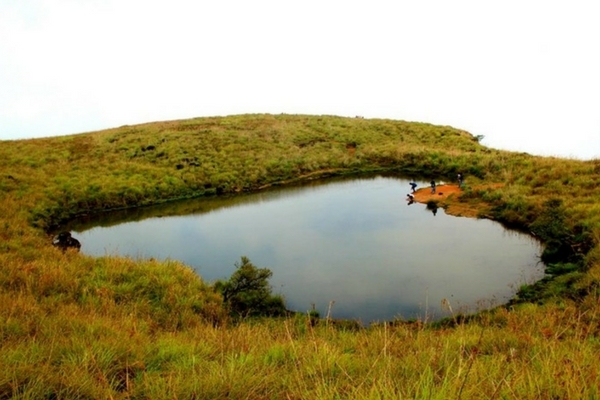 Chembara Peak and Heart Shaped Lake are two of the best places in Wayanad. The trek to the peak and lake is easy and is perfect for an amateur trekker. Since some of the best resorts in Wayanad are located nearby, trekking here is easy and guide is available at times. 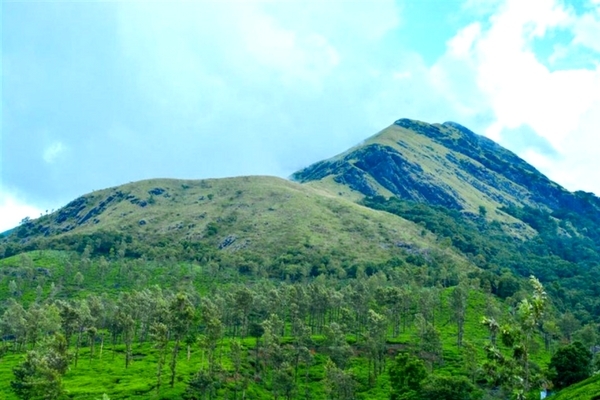 The highest peak in Wayanad, Chembra Peak is an important part of Wayanad points of interest. It is the perfect place if you want to trek through a dense jungle. A trek 2100 meters above sea level should be on your list of things to do in Wayanad. 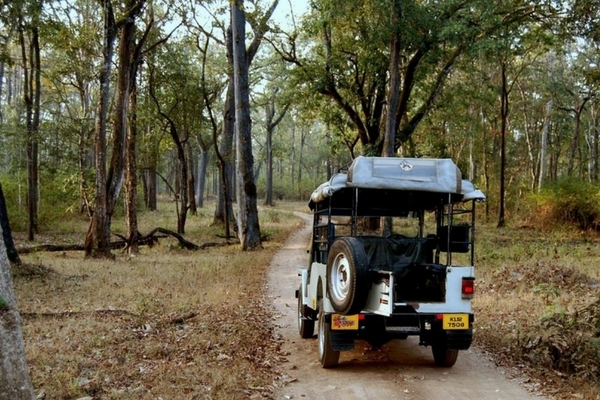 You will need to take permission from the Meppadi forest department if you intend to explore the forest. The heart-shaped lake atop the hill is a fascinating spot from where you get a full view of the lush green mountains and the looming clouds. About 25 km from Kalpetta, travel back in time to the Edakkal caves, which is believed to be one of the earliest centres of human habitation. It’s a definite addition to your Kerala holiday packages! As one of the major Wayanad points of Interest, Edakkal attracts a large number of nature enthusiasts who want to do something unique during their tryst with Wayanad Tourism. According to ancient folk stories, the cave was made with the arrows from Luv-Kush, the children of Lord Ram. These caves are believed to have existed since the Indus Valley civilization, making it of particular interest to archaeologists around the world. 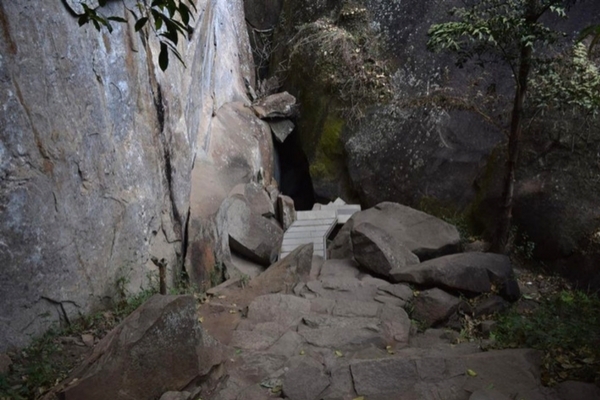 This major Wayanad points of interest has more than400 signs and carvings in the caves.With so many interesting facts and unique aspects, Edakkal Caves are obviously one of the best places in Wayanad. As popular as it for the dam and a hiking trail, Banasura a very pristine and one of the best places in Wayanad. This place is surrounded by the legends and fables about the days gone by. If history and mythology interest you, Banasura is among the best places to visit in Wayanad for you. In the list of major Wayanad points of interest, Banasura is probably the most mysterious. Named after King Banasura who won Lord Shiva’s favour by playing the ‘mridanga’ with his thousand hands while performing the famous ‘Tandav’ dance, you will be fascinated by the folklore here. Located on the foggy hills, Banasura Sagar Dam is the largest earthen dam in India and the second largest in Asia. It is open from 9 am to 5 pm. Apart from the dam, river and legends, Banasura also offers island visit tours. The group of three lovely islands, altogether known as Kuruva Islands, are located 40 km away from Banasura. The amicable surroundings make this region on of the best places to visit in Wayanad. 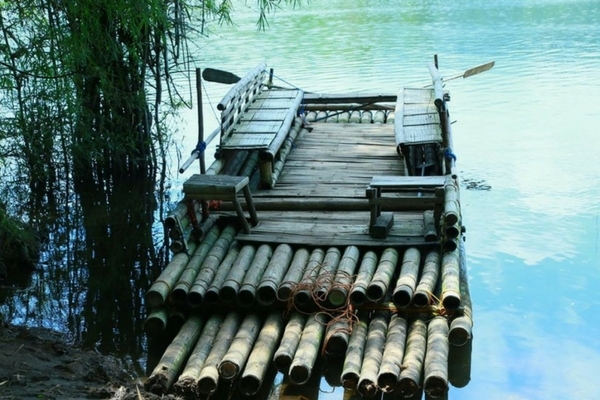 The best way to access these islands is via tiny bamboo boats or fibre rafts and spend their vacation here. The ambrosial beauty of these islands makes it one of the must-visit places near Wayanad. Other tourist spots nearby include a wildlife sanctuary, large number of flowering trees and boating. About 15 km from Kalpetta, Pookode is one of the prettiest places on Wayanad and one of the best places to visit. The village is the perfect place for nature lovers and photography enthusiasts, who will simply fall in love with this paradise. Pookode Lake is one of the most scenic and pristine Wayanad points of interest. This lake resembles the shape of the Indian map and you will be greeted by the sights of blue lotuses and fresh water fishes here. 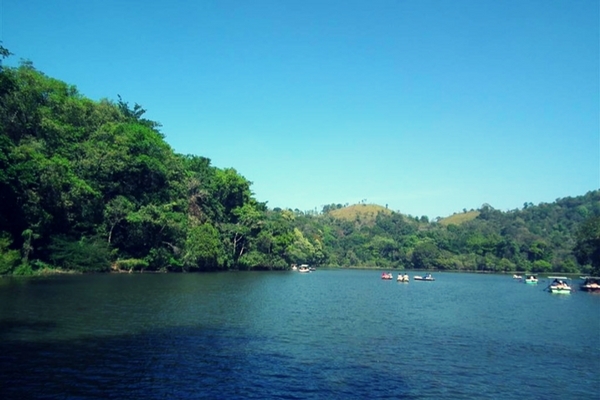 Pookode Lake is a gem for Wayanad tourism because of its unique shape and natural aura. Rent a boat and take a trip around the lake. It is open for a visit from 9 am to 5 pm. You can also visit the freshwater aquarium, children’s park and shopping centre known for handicrafts and spices. If you want to experience the best of Wayanad tourism and dive into history then a visit to Thirunelli. It is one of the must things to do in Wayanad. 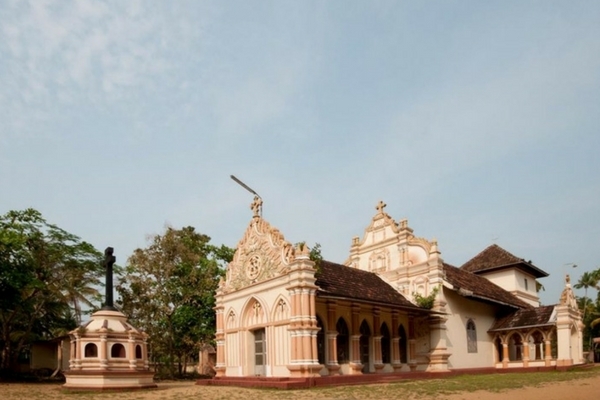 Known for its rich history and believed to be an ancient settlement; Thirunelli is filled with royal history as the place was one ruled by Pandyas, the Cholas, the Malabar and Tirunelveli Sultanates, the Vijayanagar Empire, the Madurai Nayaks, Chanda Sahib, the Carnatic kingdom and the British. Among the places near Wayanad, Thirunelli offers the most to the visitors. 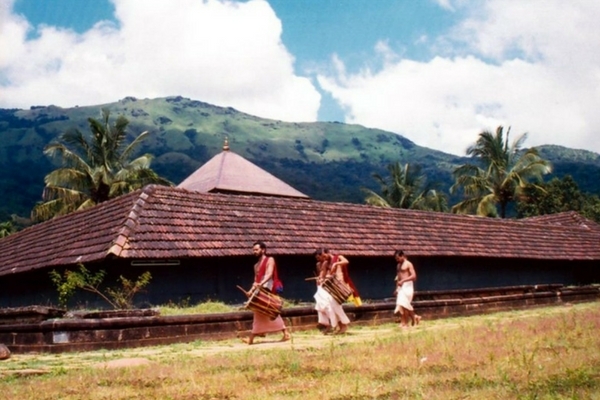 Thirunelli temple is the most important heritage places to see in Wayanad. It also called ‘Kashi of the South’. As one of the popular Wayanad Tourist Spots, this temple is open to the public from 5.30 am to 12 pm and 5.30 pm to 8 pm. What makes this temple an important heritage spot of Wayanad Tourism is its design and the brilliant architecture. The temple is known for its magnificent design, carvings and paintings and spectacular view, apart from the obvious religious significance. Sample some of the best halwa, a sweet made of wheat, sugar and ghee. The tiny village is a must visit place in Wayanad. Ambalavayal is surrounded by lush green hills of The Western Ghats and charming weather. The most popular spots of Wayanad Tourismhere are the Heritage Museum and Regional Agricultural Research Station. Wayanad Heritage Museum exhibits archaeological artefacts some of which are as old as the Neolithic age. This heritage and history lover should count this museum as one of the unique places to see in Wayanad. Wayanad heritage museum is famous for its unique tribal artefacts excavated from Malabar region. Hero Stone is one of the important Wayanad Attractions. Here, you will find a variety of pictorial rock edicts carved in the memory of heroes who died saving people. The place is open to the public from 10 am to 5 pm. This unique and heart-warming spot is one of the best places to visit in Wayanad. Regional Agricultural Research Station grows crops like coffee, pepper, rice, ginger, turmeric, clove, cinnamon, summer and cool season vegetables. It’s an ideal destination for those interested or involved in the cultivation of these crops and allied industries. About 38 km apart, Tholpetty and Muthanga are home to some of the best wildlife in India. As one of the most scenic places to see in Wayanad, the local tourismoffers a lot of activities in this region for those who love nature and wildlife. The tea plantations have separated both the wildlife sanctuaries. In the midst of the deciduous forests, you can spot peacocks, owls, cuckoos, babblers and jungle fowls. Many local tour groups conduct trips as a part of their weekend escape plans. You can also join the photography groups coming here and test the versatility of your lens. As one of the thriving Wayanad tourist spots, you will find a lot to do and experience while exploring the natural Wayanad attractions. It takes a good 2-4 hours to cover the entire area. So it is open for entry from 7 am to 9 am and 3 pm to 5 pm. While making a trip plan, you must make sure that these forests are in the top in the Wayanad tourist places list so that you can make the best out of the places to see in Wayanad. November to May is the best time to visit these places for better chances of more wildlife sightings. Now that you know the best places to visit in Wayanad, how about planning a soulful trip with Wayanad Tour Packages. 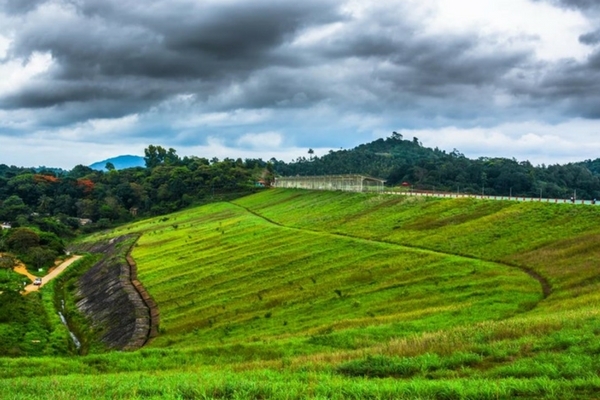 Wayanad is a quintessential southern hill station and an ideal weekend getaway. There are so many places to see in Wayanad, that one must make two or three visits or plan a long holday. There is something here for all kinds of travellers. Kalpetta, Meenangadi, Pozhuthana are among some of the best places in Wayanad. Most of the Wayanad tourist spots are easy to access, while the adventure lovers can also try hiking, trekking and cycling.With so many cool and best places to visit in Wayanad, we are sure that your next trip will give you the best out of this region.Apart from the mentioned ones, there are a lot of offbeat and lesser known places near Wayanad. You can also take out time and explore some of the. With some of the best resorts in Wayanad, you can make your vacation worth every moment spent here. The best places to visit in Wayanad offer romantic, spiritual and thrilling experiences in addition to panoramic views, luxurious accommodation and scenic drives. With destinations like Coorg, Mangalore and Calicut being some of the amazing places near Wayanad, you can also extend your trip for some memorable surprises. The sky is the limit at this picturesque hill station. So, make sure Wayanad is at the top of your bucket list come this season. 1. What are the best places in Wayanad? Apart from these, one can also go on treks or tea plantation tours on special packages are they are rarely mentioned in the list of popular Wayanad tourist spots. 2. What are some of the activities you can enjoy in Wayanad? Here is a list of activities you can enjoy in Wayanad? Tholpetty is one of the popular Wayanad attractions that offer excursions and photography tours in jungles. 3. What are some of the experiences you can enjoy in Wayanad? 4. What are some of the things you can buy in Wayanad? 5. What are the local dishes worth trying in Wayanad? Apart from travel and touring the popular Wayanad attractions, exploring the food culture too is a must while you traveling here. The Malayali Cuisine is to die for and you are spoilt for choices with curries, seafood dishes other delicacies. You must try the local version of a famous Indian dessert called Halwa. There are countless places to visit in Wayanad. Make sure you don’t miss these captivating Wayanad Tourist Places in Kerala when on a holiday. All the Wayanad Tourist places have an immense amount of natural beauty hiding. I had never heard of this place before, but now its on my dream list. Thanks for posting this up. Beautiful !! Just incredibly beautiful. I have no words to describe Wayanad. Great article on this place. I have got to go to this place. Its just seems like paradise. Thanks for posting this article. This seems just like heaven, especially for nature lovers it will be the ultimate destination. Beautiful article, just loved reading it.